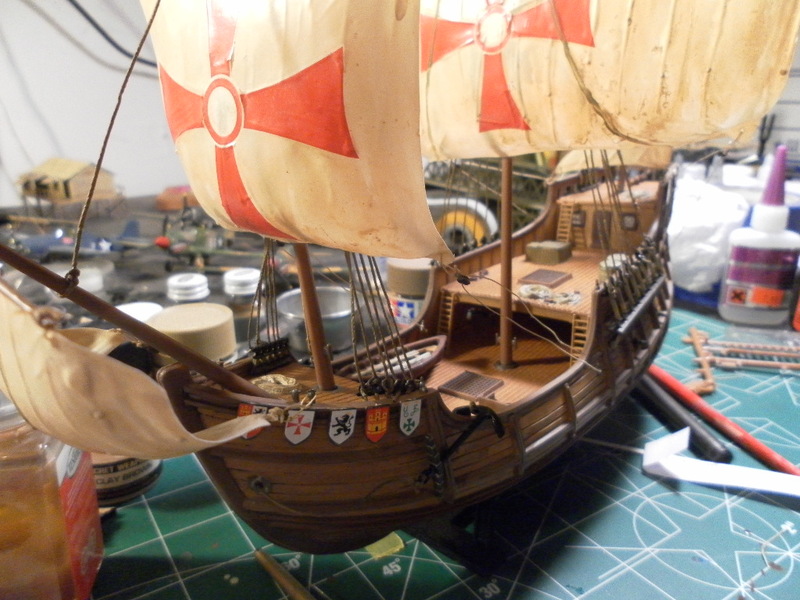 Two years ago I built Revell Germany’s 1/96 replica of the Santa Maria, Christopher Columbus’ flagship for his first voyage across the Atlantic. 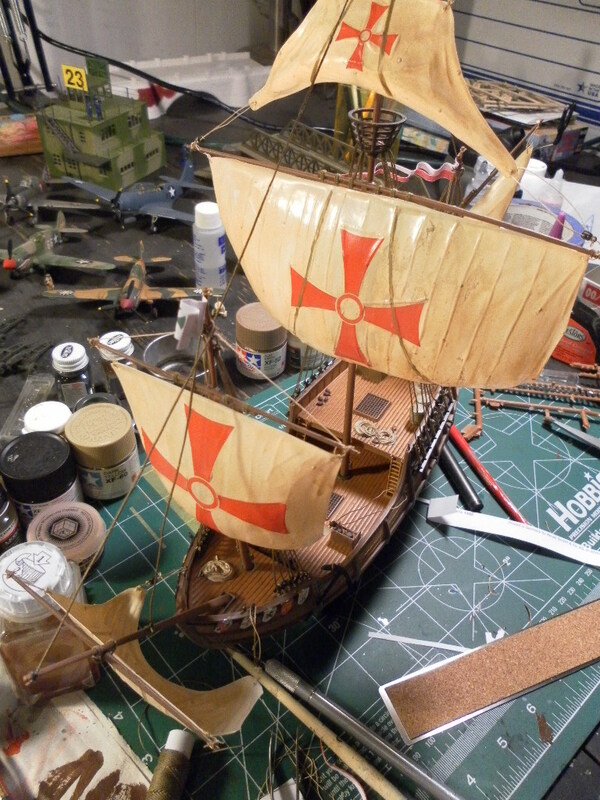 For many years now I have focused solely on WWII subjects, but I wanted to do this ship for my 5th-grade classroom, because we study, among other aspects of American history, the era of European exploration. 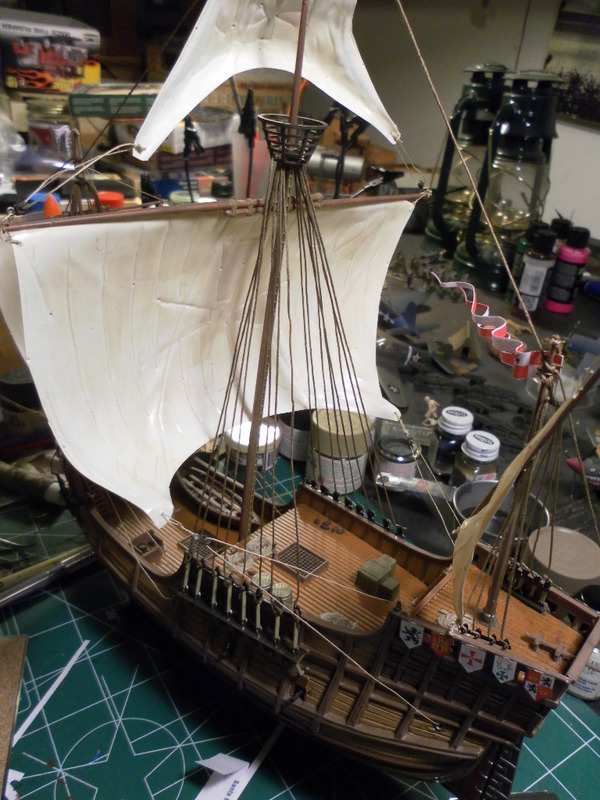 It was a beautiful change of pace to work in a scale other than 1/700 for a ship, and to be able to actually tie a bunch of the rigging into place! The kit features two kinds of “rope” for the job, both of which look very realistic, even if it is almost impossible to get it to look taut rather than crinkly. The icing on the cake has been to have several students come in to school over the past week to tell me that they were now building a ship model with their dads at home! It’s great to spark an interest, isn’t it.